There has been mention that some people received a spare o-ring but mine didn't come with it. The manual was emailed to me as PDF, which I'll try to repost as pics later. The SS bezels secure double-sided AR coated lens that I measured to be 3mm thick! Unlike the Klarus XT20 I recently tested, they do not seem to be aimed to allow beam convergence, however, I didn't really notice any unusual beam pattern/shape as a result of this configuratoin. All two or three beams (depending on level) will nicely converge into a single unified beam w/sufficient distance from wall/object being shone at. The EYE-30's entire finish features a texture pattern akin to concrete. The port has a rubber cover plugged into it that must be removed in order to plug in the charger. While there is a polarity indicator symbol, the positive/negative indicators are missing (center tip is positive). The screw has a gap between the head and the tip of the screw that is without thread and needs to be threaded into the handle first. I felt this was a good feature since it helps keep the screw on the handle and reduces the likelihood of it being lost. The control ring (amongst other design elements on the EYE-30) bears an uncanny resemblance to another well regarded manufactuer that first featured it. I don't know if they manufacturer lights for them or not. The tolerances are very tight w/nearly no gap between the ring and the body head on either end. Incidentally, the circumference of the control ring protrudes just a tad bit past the flat edge thus not allowing it lay perfectly flat and causing a little wobble. The head is finished off with a smooth section featuring no design elements. It features three "sides" that have a rectangular texture pattern with the middle empty to allow for laser engraving in which case one of the three features the mfg logo and web addy, the other bears the model and misc text and the last is not engraved. Unscrewing the body from the head, one will find square-cut threads that were amply greased"
The "base" of the head does not feature a spring (nor is it required given the battery carrier set up but more on that later). Given there is a little room for play involved, one needs to "center" the batteries so that they do not obstruct ingress when inserting the carrier into the tube. Both ends are identical as per above; there is a central "floating" brass anode plate and the exterior rim carries the cathode path. The size alone isn't the real story here but rather the full weight; the battery carrier alone w/4x 18650's loaded weighs 8.79oz (249.3g) and the rest of the EYE-30 w/the handle mounted weighs 12.86oz (364.5g) for a combined total of 21.65oz (613.77g). To draw a comparison, that is just shy of two 12oz soda cans' weight! Flash intentionally used to highlight any mismatches in anodizing but none were found. Its durability may be of concern over the long run especially given the temeratures this light is able to achieve. There's also the matter that this light is rated to IPX-8 and I have doubts this port is water tight (especially w/the rubber plug removed). The control ring clicks nicely between each detent (except at each extreme end where there are none) and the tube threads into the head nice and smoothly. Overall, a very well made light. So what then is the Achilles Heel I mentioned in the intro? Well, it has to do with the control ring seizing on the very first run time test I conducted. While I didn't monitor the temp of that run, a fan was used and based on subsequent runs, the temp shouldn't have been above 120F on these runs. The first time the head seized up, I was able to unseize it w/my bare hands but with tremendous force. On the runtime test w/out fan, the ring sezied again and this time I had to use a rubber strap wrench to free it. There are three torx screws (T7) holding the base plate in place. The charging circuit is incorporated into one of these boards. All the connections in the head come to this board; 3 x B/R LED wires, 1 x B/R charging wire, 1 x R/W/G/Y/B charging/battery level indicator. However, the location where the LED sits is roughly towards the final fin (side closest to the control ring). In the end and despite all this, I wasn't able to access the control ring mechanism to remove it thus I wasn't able to get to the root of the issue. Regardless, I do believe it's temperature related and I feel that if there were more mass creating a better thermal path to the fins, it would help enhance the light's ability to shed heat and maintain optimal output and potentially prevent the ring seizure from happening. Initial feedback from manufacturer is that the issue is limited to my sample but I plan on re-escalating the issue especially since it happened again. With the head of the EYE-30 pointed away from you, one turn CCW from "Off" will activate the Strobe. Each subsequest Off -> 1 turn CCW will cycle through the Beacon, BC and Strobe sequentially. The last used mode is not memorized so you can't say program the position for battery check and be able to always access only just that feature. However, I did note that if the strobe is activated for longer than 5 seconds and then shut off the light and wait at least 2 seconds, 1 turn CCW will activate the strobe again. First off, while the light uses 4 cells, it runs 2 in parallel so the battery carrier only shows 8.4V. The light is also able to run on just 2 cells inserted but given I haven't measured the current draw yet, I didn't run it in this manner for long. Niteye is using ANSI FL1 standards and has quoted 2hrs on Turbo, however I'm not sure what capacity batteries were used to achieve this. I was able to achieve 2.2hrs on CK 3100's. I did note that after about 21min, the light dropped roughly 20% in output. I finally stopped testing at nearly 3hrs when the data logger reached its limit. The light output at this point was still very usable. Also, while the light never exceeded 106F, I did notice that the control ring sezied up after testing. It took a LOT of force before I was finally able to loosen it. While the overall build of the light is quite good, this particular incident was not confidence inspiring. I'll need to keep an eye on this on subsequent runs. I have escalated my observations and the issue to the manufacturer and will post an update when I hear back from them. NEW 1/9/12: Just wrapped up runtime on High and again was able to exceed mfg claims (w/caveat that mfg. has not replied yet on what capacity batteries were used to achieve claims). The temp never went over 96.5 and the control ring didn't seize this time around. EDIT 1/15: I took the temp reading after 10 min and again a bit after step-down so didn't capture peak temp since max reached w/2 cells testing (below) was 115.4F. Will reconduct testing on 4 cells w/temp graph. EDIT 1/16: I retested runtime on Turbo w/4 cells and monitored temp as well. Max reached was 114.1F but what was interesting was that the temp started to climb again towards the tail end of the run. Regardless it still didn't climb higher than the max reached shortly after step down. Also happy to report that I didn't reencounter the ring seizure issue. The results on High were as with Turbo, I was able to exceed stated claims but yet again, w/the caveat that I don't know what batteries were used by Niteye. Given this light can operate on 2 cells, I've conducted testing different brands of batteries on Turbo. To allay my concerns w/the control ring seizing, I also logged the temp via a Fluke 289 w/the sensor wedged in the middle fin. As can be seen above, the temp never got above 118F (47.8C). I didn't experience any issues w/the control ring seizing up on any of these runs but will redo the 4cell test w/temp monitoring later. Where the temp (dotted line) took a nose dive, that's when I stopped monitoring and not becuase of some insane drop in temperature. I've confirmed w/the mfg that the EYE-30 will indeed step-down (roughly 20%) in output on Turbo shortly after 20 min to prevent it from overheating. Interestingly enough, the 2 x AW IMR's never made it that far thus you don't see that step-down in the graph above. I like the fact that they've incorporated this flexibility into the EYE-30 so that one can run the light on full brightness w/just 2 cells in a pinch (albeit w/reduced runtime). Given I don't have a PSU or AC to 12V DC converter, I asked Niteye what the input parameters were and they replied that input voltage is from 10-20V DC and supply a minimum of 1A (positive core). Despite having accumulated a mass of adapters over the years, I couldn't find one that met this criteria AND had a plug that fit so I wound up using an old HP laptop adapter (18.5V / 3.5A) and wired up the EYE30 and have completed the charging of 4 cells (in which case the total voltage is in parentheses). I marked each cell just to see how 2S2P charging would affect balance. I'll update the graph when I wrap up charging of 2 cells. Overall it looks like the EYE30's built-in charger is using a CC/CV algo, however, there is this weird little 10mA jump that keeps happening in repeated cycles (as evidenced by the zigzags). The current will start off roughly at just over 1A (500mA to each pair) and then upon termination, it'll apply a very low 11mA charge, HOWEVER, the draw from the LED charging indicator is roughly 22mA for a net yield of -11mA. What this means is that the indicator will actually draw a minute amount of energy upon termination of charge. To put things in perspective, using an avg. 2600mAh battery (and leaving self-discharge out of the pic) divided by the net draw (11mA) would mean that it will deplete the battery in roughly 10 days. I believe the charger will reinitiate once battery voltage drops below a certain level but I don't know what that threshold is. However, this is just speculation on my part thus far since I didn't continue monitoring much after termination. Speaking of battery level, the charging indicator started off w/2 bars but for some reason, the intervalometer on my camera didn't work (stopped after just 5 shots) so I didn't capture the progression in order to do a correlation w/voltage level. I'll look to do that as well as monitor the voltage/current draw situation when I graph charging of 2 cells in the future. I did test whether charging would reinitiate upon power loss/resumption (ie: unplugging the charger & plugging it back in) but it didn't so that's a very good sign. Based upon that and the charging algo/termination current, I feel it's a very competent charger that should fill up 4 fully depleted cells (w/3100mAh capacity) in just over 7hrs. Provided quality protected cells are used, I feel it's reasonably safe and gentle enough even with 2 cell charging. Best thing about it is that it's integrated into the light so you'll never forget it when traveling. The only thing you'll need to pick up for charging at home is either an AC to 12VDC converter (with min. of 1A) or an adapter/PSU that meets the aforementioned specs. Overall, I feel this light offers decent value for the money. It sits about dead-center in terms of MSRP between the two lights it will most likely be cross shopped against (TM11, RRT-3). While it's more expensive than the TM11, it does offer internal charging circuit and ability to charge directly off a 12V source (albeit in 2S2P). It also includes the handle which is extra on the RRT-3. Where it does outshine both (pun fully intended) given its unique battery arrangement is in runtime. Despite the step down it can still maintain roughly 1500+ lumens for just over two hours on quality 3100 mAh 18650's. My biggest problem with this light remains the control ring seizing issue (at least on my sample). I feel it's caused by heat albeit I'm not sure exactly how since I wasn't able to remove the ring. Here I'm confirming the temp w/an IR thermometer during runtime testing w/out a fan and shortly before step down. However, the temp difference between this location and the middle of the fins where the DMM temp probe is slotted was only roughly 2-5 degrees F difference. I have already escalated this issue to Niteye but given the Chinese New Year holiday, won't be hearing back from them for another week or so. Until this issue is sorted, I can't fully give this light a full thumbs up. There are also potential concerns re: the lack of track record for Niteye, however, as they've cited, they have been producing lights for other well known companies for a while so they should have the expertise. Also uncertain is how their customer service will rank. Disclosure: EYE-30 provided by Niteye for review. This was actually posted on a different forum but I'm in the process of porting them over so please bear with me and the external links. Also, I've checked in with the mfg again and they haven't been able to replicate the issue using my test method. I also checked with a retailer here stateside and they too confirmed they didn't encounter the issue so as such, it looks like I just got a bum unit. 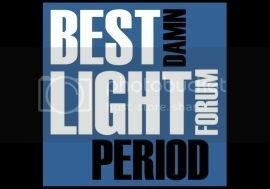 I gotta say, save for this one issue on mine, the light does exhibit outstanding build quality. I'm also in the process of getting a PSU so I can hook it up to the auto charger to graph the charging algo. I'll post then when I get around to it. Hope you've found the review informative. Thanks for the review and welcome to the forum Tim! harry25175 also mentioned he didn't encounter any issues and while it's a small sample size, I'm hopeful the issue is limited to just my sample. Man, I thought I was into flashlights . . . then I read a review like this . . .
Did you take all of the photos? The charging current starts off at about 1A and then slowly tapers down to about 970mA. 33min into the charge now and according to FlukeView Forms the avg. has been 962mA. EDIT: Chart above is wrong, the last two are measured in A and NOT mA. Will post the charging graph later today. OK, charging summary now posted. Overall, a very decent charger and provided quality protected cells are used, should be reasonably safe. First post here. Love the review turboBB! really looking to pull the trigger on the Eye-30. Just wanted to ask if you ever did a measurement on the parasitic drain on the Eye-30 when it’s turned off? The current draw you mentioned in the review is only for the led charging indicator while it is being charged right? (I would think that the magnetic control ring is electronic hence there’ll be a stanby drain while it is off?) Thanks!! Thx and welcome to BLF! Yes that's right, the draw was only during charging. I thought I had measured standby current but will have to check. Will post that when I find it. Also, not sure if you're aware but Niteye now has a new EYE40 with 4 x XM-L's. I just measured the standby current and it's 71.45µA (.07145mA) which is absolutely trivial. To put this into perspective, utilizing standard 2600mAh batteries and leaving the self-discharge out of the pic, it would equate to 4.15yrs on standby (2600/.07145 = 36389hrs/24 = 1516days/365 = 4.15yrs). Regardless though, as an extra safety precaution, I always lock out my lights when not in use and I'd recommend the same to anyone. 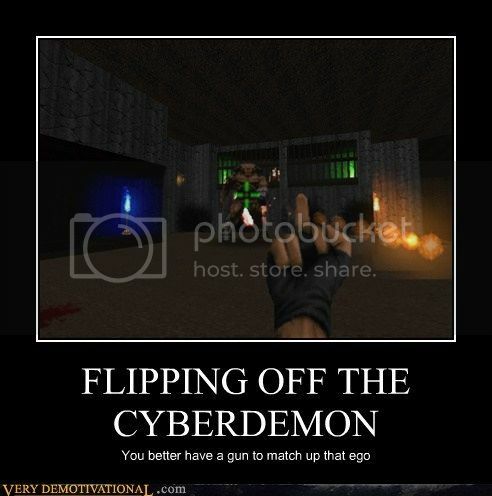 I hope you have fun here, cyberdemon8!